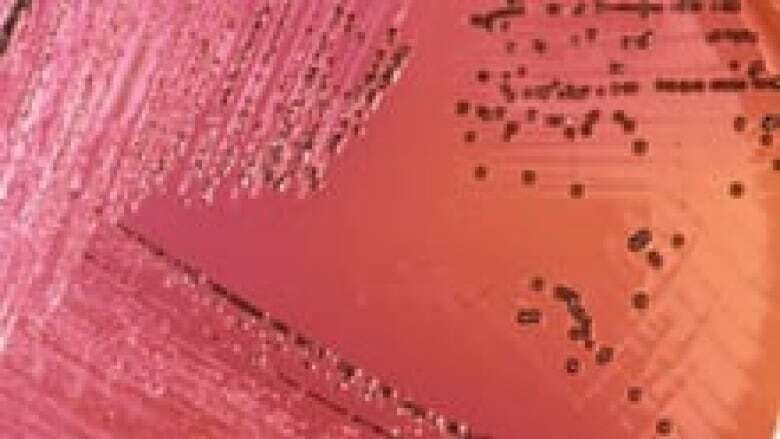 Canada's public health agency is investigating an outbreak of salmonella that spans eight provinces and has sent several people to hospital. The Public Health Agency of Canada is investigating an outbreak of salmonella that spans eight provinces and has resulted in several hospitalizations. The agency has yet to find the source of the contamination, but says the "risk to Canadians is low." Eight people were hospitalized. They're either recovering or have recovered. "No deaths have been reported," the agency said in a statement Thursday. "To date, the source of this investigation has not been identified, but the investigation is ongoing, and Canadians will continue to be updated as new information becomes available." More than half the people who got sick — between June 12 and Sept. 20 — are women. There are currently 34 cases across the country. Salmonella bacteria are found naturally in the intestines of animals, reptiles and birds, and most often are transmitted to people when they eat contaminated foods from both animal and fruit and vegetable sources. Illness can be avoided if safe food handling, preparation and cooking practices are closely followed, PHAC says.